The straightforward and compact nature of the Compressible Pillow makes it a great fit for any traveler who misses the comforts of their traditional bed pillow. Read on for my full review. 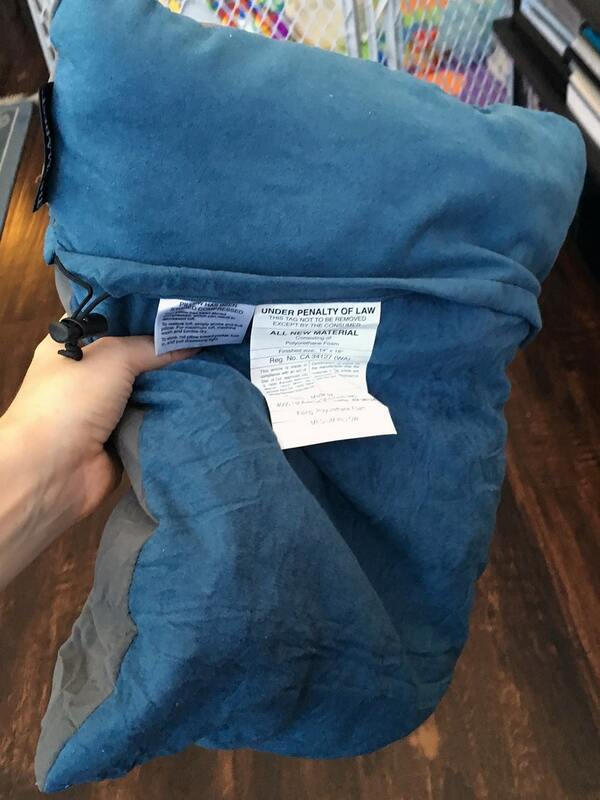 The Compressible Pillow is made by Therm-a-Rest, an outdoor product company that makes camping gear like mattresses, sleeping bags and pillows. The Compressible Pillow is one of six types of pillows they produce. 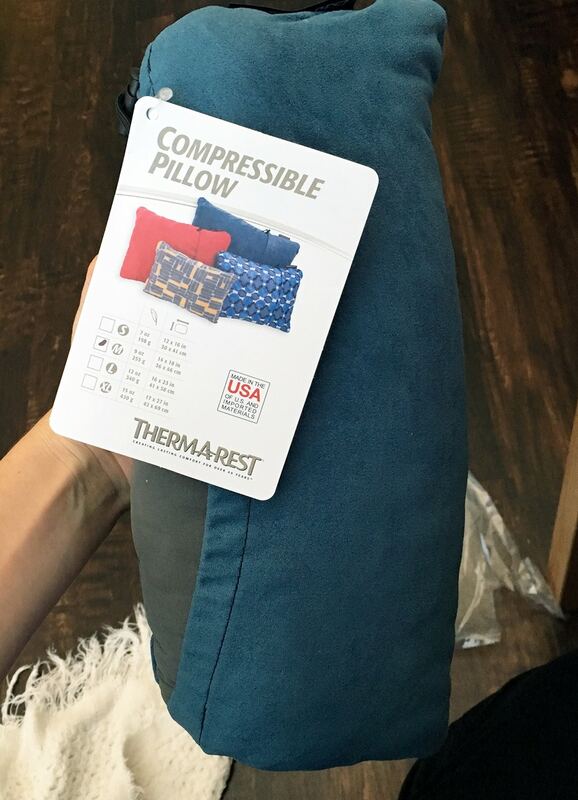 Therm-a-Rest recommends the Compressible Pillow for any type of travel, whether it be international trips or a road trip adventure. 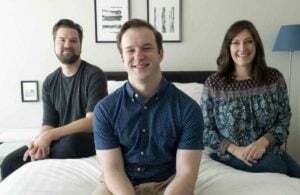 The company says that between their manufacturing facilities in Seattle and Cork, Ireland, the majority of their products are built by Therm-a-Rest employees. See where the Compressible travel pillow ranks on my best travel pillows page. When I first unrolled the Compressible Pillow from its small, cylindrical travel shape into a rectangle, I was worried. The pillow felt lumpy and flat and I could not imagine how it would be comfortable as a regular pillow, let alone on a plane or in a car. There is a small tag on the pillow that indicates that it has been compressed (if the name didn’t already give that away). In order to restore it, you must “simply shake and fluff pillow” and for ultimate loft, you should machine wash and tumble dry. Highly skeptical, I threw the pillow into a gentle cycle in my washing machine. When I pulled the pillow from the washer, it was full and firm and a huge change from the pillow I first unwrapped. I also ran it on a low tumble dry and it came out no worse for the wear. The particular pillow I’m reviewing is a size Medium, which is 14” x 18” and weighs about nine ounces. For reference, a standard bed pillow is roughly 20” x 26”. At its maximum loft, the pillow feels like the perfect size for travel. 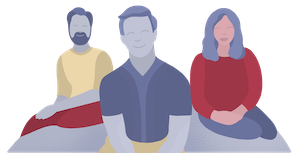 It’s larger than the pillow offerings on most airplanes but noticeably smaller than a standard-size pillow (which means you won’t be bumping your neighbor). According to camping retailer R.E.I., the Compressible Pillow is made from extra foam pieces used to make Therm-a-Rest sleeping pads. Despite being filled with various sized and shaped pieces of foam, the pillow is not super lumpy. It’s not as smooth as an inflatable pillow, but it’s very comfortable. 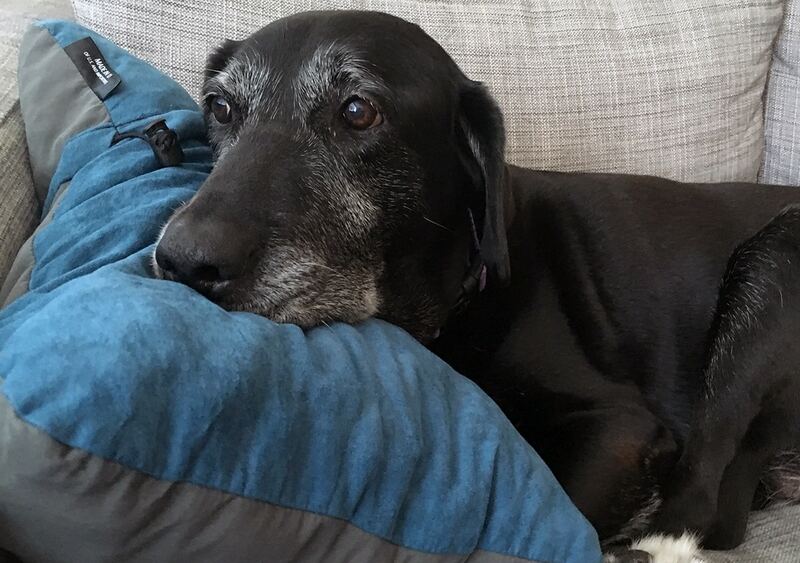 Because the Compressible Pillow is in a traditional pillow shape and made for all sorts of travel and outdoor exposure, it is very durable and versatile. 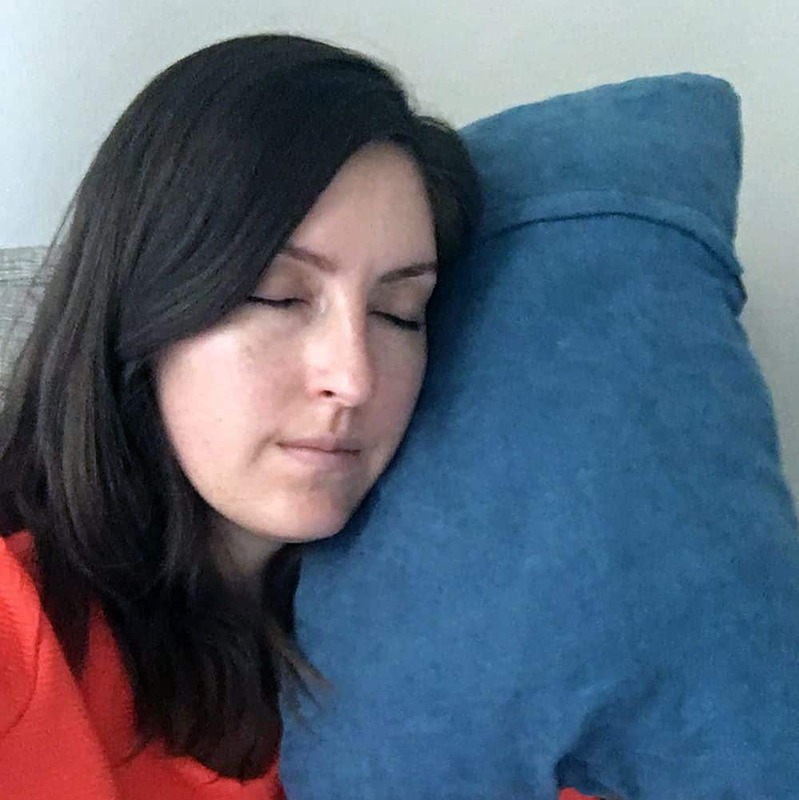 I easily napped with it on my couch, in a high-backed chair in my nursery and felt comfortable with it pressed against my car window on a long trip. 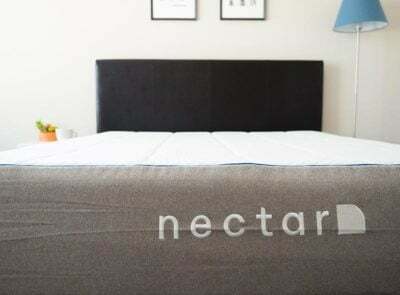 The cover fabric is Brushed Polyester, which gives it a nice softness. Unlike other travel pillows, it grips materials and prevents the pillow from slipping down the side of a plane or car window (or the side of your face). It is not a neck pillow, so you will miss some of that neck support. Therm-a-Rest does make a neck pillow which I’d be interested in checking out. 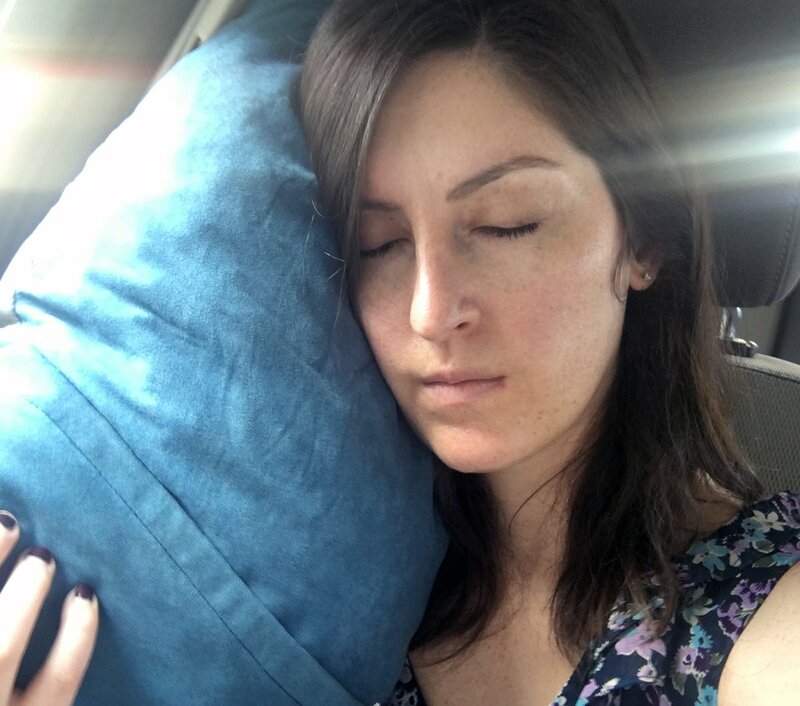 But if you are a side sleeper (like me) and prefer the feeling of something pressed against the side of your face, I think this pillow is a great option for a road trip or window seat on a plane or train. I also really liked how easy it was to roll up and pack away. 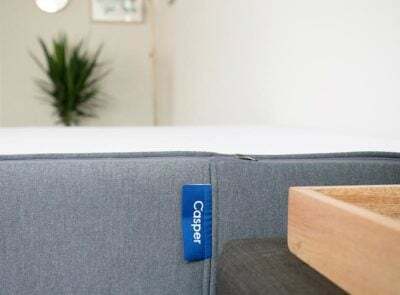 There is a pocket on one end of the pillow and all you need to do is roll the opposite end up like you would a sleeping bag, tuck it into the pocket and tighten the accompanying drawstring and you’re ready to go. No extra travel bags or cases to keep track of. 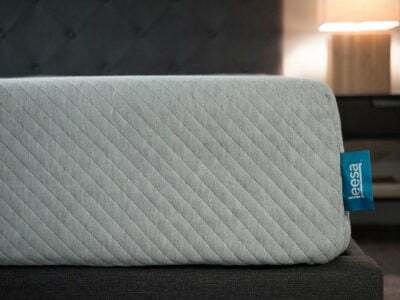 Overall I thought this pillow was a great value due to its space saving abilities and its durable outer cover. I also liked that the pillow was machine washable and dryable and could be compressed into a smaller size. I did not like that it didn't have a way for me to attach it to a carry-on and I didn't love how lumpy the pillow got after a lot of use. This pillow comes from a company known for its camping products. That doesn’t mean it’s a bad air travel pillow, but I think the focus is on being compact, easy to pack and durable. The fabric cover is not plush, but plenty soft. It does not have a latch or strap to attach to the outside of a carry-on bag or piece of luggage. It does take a little time (and patience) to get this pillow to its maximum loft without a washer and dryer. I shook and tossed the pillow around for about 10 minutes before I felt like it was at a comfortable firmness. 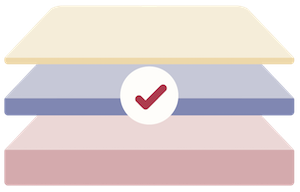 It will get there, but don’t expect to be able to use it comfortably immediately after unrolling. 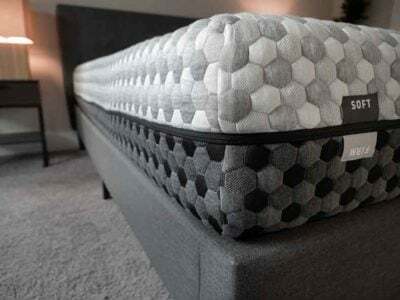 The pillow is not as smooth as other travel pillows – the foam pieces make it a little lumpy but after it’s been through the dryer the lumps are less obvious. The price for a Compressible Pillow ranges from $19.99 to $34.95 depending on size. A Medium size is $22.95. This seems like a fair price for the quality of the pillow. I think the fabric is durable, it’s machine washable and dryable and it compacts nicely for travel. I like that I can use it in a variety of travel settings and that it was firm enough for me to fall asleep using. When I’ve rolled it back up I am able to use it as a lower back pillow.